Thank you for visiting our site. You are apparently searching for that unique or special rod. We can assist you in the total design whatever the situation requires. No one rod will ever suit the vast majority of applications out there, therefore that quest will lead us to proceed and design one for your particular application. We look forward to quoting you a rod and also provide you with some basic design techniques if needed. A custom rod is better because each rod is built with a particular customer in mind instead of with the intention of appealing to a large mass of people. 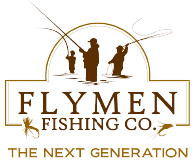 Also, a custom rod is designed to each customer’s individual specifications with considerable thought given to the type of fishing each customer pursues in conjunction with their individual style. In addition, each custom rod is individually and meticulously hand-crafted to exacting standards with extreme attention paid to detail that is simply not possible with a mass-produced factory rod. Last, by purchasing a custom rod, each customer is able to choose from a large selection of components as well as the color and detail of the guide wraps to create a rod that is unique theirs and is perfectly suited to their individual needs and tastes. Love, it pretty awesome stuff you do you do there. I've ordered several Lemke seats and had at least one insert turned. Ron is pleasant to deal with and is a great businessman. Ron helped me pick out a Lemke seat for a build I am doing and turned a colored maple burl insert for the seat. He was very helpful and the insert he turned is beautiful. Great customer service. Ron built a budget priced 1wt for me. I can honestly say that even as a budget build, his work is better than a couple of my big brand rods that were in the $300.00+ range. Damn fine work Ron! These guys are great! Very helpful and knowledgeable. Ron really helped me out getting the reel seat I wanted and answered all dumb, newbie questions. Their service was quick, products top notch, and very reasonably priced. Ron teased us on a forum with a pic of a neat custom Lemke seat. I messaged him, we settled up on Paypal and it was here in short order. And its more awesome in person. It looks great on an old 50's glass rebuild. Thanks Ron! I ordered a Bethlehem Olive reel seat from Ron and it arrived today. Not knowing what to expect I was a little nervous opening the package. What I had received was a beautiful reel seat of the highest quality. I have used reel seats that cost twice as much, but the quality was not as high as Southwest Customs. I will now be purchasing all of my reel seats from Ron at Southwest . Copyright Southwest Custom Rods. All rights reserved.